Now, attorneys for former North Charleston, S.C., police officer Michael Slager are saying the testimony from Sessions can help their client. 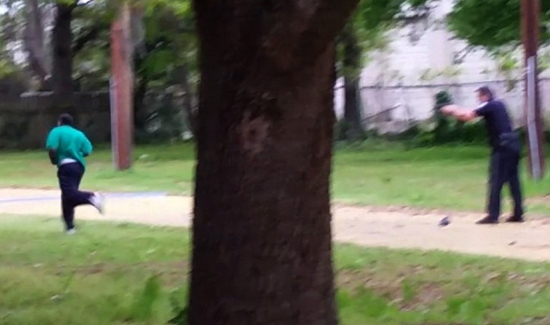 Slager is currently on trial for the shooting death of Walter Scott in 2015. “A Swiss cheese memory is a symptom of stress, not an indicator of lying,” Slager’s attorneys wrote, citing testimony from a medical expert. “Unlike Slager, who had been in what he perceived as a life and death struggle before he made his statements, Sessions had time to prepare for his Congressional testimony, yet still often got it wrong,” they wrote in their filing. It’s an interesting and risky strategy. On the one hand, if defense attorneys can convince a jury that memory lapses are to blame for Slager’s conflicting testimony, that will have a huge impact during sentencing. On the other hand, if DOJ prosecutors try to paint Slager as a liar instead of just forgetful, they run the risk of implying that their boss (Sessions) is lying as well.